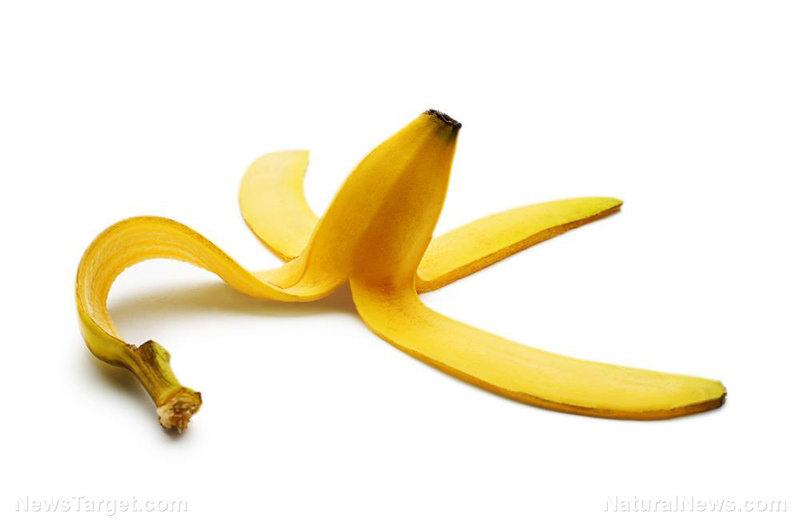 (Natural News) Fruit and vegetable scraps may often end up in the trash, but they are far from useless. A recent study published in the Journal of Chemical Education revealed that the seeds and peels of many fruits and vegetables can be used to remove pollutants, including dyes and heavy metals, from the water. The authors of the study wanted to uncover the potential of fruit and vegetable peels as part of a low-cost but efficient water purification process. They found that peels and seeds from okra, pumpkin, banana, and lemon, among others, could remove methylene blue, copper, and lead from water. Methylene blue is a dye, while lead and copper are heavy metals – and all are known to be common water pollutants. The peels and seeds removed these substances through adsorption, a process in which solids attract molecules or atoms from liquids and gases to their surface. The attracted molecules coat the surface of the solid object, usually as a filmy layer. A good example of adsorption in action is how the charcoal filters in gas masks capture poisonous molecules to clean and detoxify passing air. The study on vegetable and fruit peels is a follow-up to an earlier research project that confirmed the ability of peels from avocado, Hami melon, and dragon fruit to remove methylene blue from water. The recent inquiry employs some of the methods used in its predecessor, particularly in preparing the peels. The fruit and vegetable peels and seeds are first boiled to remove any soluble impurities on their surface. They are then dried and crushed before they are placed in a solution that is contaminated with pollutants. Among the study’s findings was that okra peels and lemon seeds are excellent at adsorbing lead ions. Both of these materials were able to adsorb 100 percent of lead ions, while lemon peel and okra seeds were able to adsorb 96.4 and 50 percent of lead ions, respectively. Cindy Samet, a professor at Dickinson College and one of the authors of the study, believes that the findings may pave the way for affordable technologies that countries with a low supply of clean, potable water can tap. “This is exciting because it is likely that this method of purification can make its way from lab to kitchen,” she said. Lead – This heavy metal is highly toxic and can cause serious, irreversible, and permanent damage to anyone who ingests it. Besides damaging the kidneys and bone marrow, it can stunt the intelligence and growth of children. Before its toxic nature became known, lead was used extensively for many industrial applications, including the manufacture of water pipes and solder used to join copper pipes together. Old water pipes containing lead, as well as mining and industrial processes, are the leading causes of lead contamination. Cadmium – Yet another heavy metal, cadmium damages the kidneys, liver, bones, and the blood with long-term ingestion. Cadmium contamination can occur because of a number of reasons, one of which is the corrosion of galvanized water pipes containing the metal. Runoff from improperly disposed of batteries and paint may also cause contamination. Nitrate and nitrite – These chemicals usually affect infants under six months. They are linked to methemoglobinemia, also known as blue baby syndrome. Both nitrate and nitrite can occur in nature – among their most common sources are human sewage and animal manure – although they may also leach into drinking water from farms that use them as artificial fertilizers. Learn about the dangers of toxins in water at CleanWater.news.